Pam Bruinsma made costumes for the 5th grade play. WOW member Mary Padilla tutors a student. More and more research is identifying “giving back” as a key factor to living a long and healthy life. If this theory is true, Trilogy at the Polo Club’s Women of Wisdom, or WOW, have a few extra years coming their way. 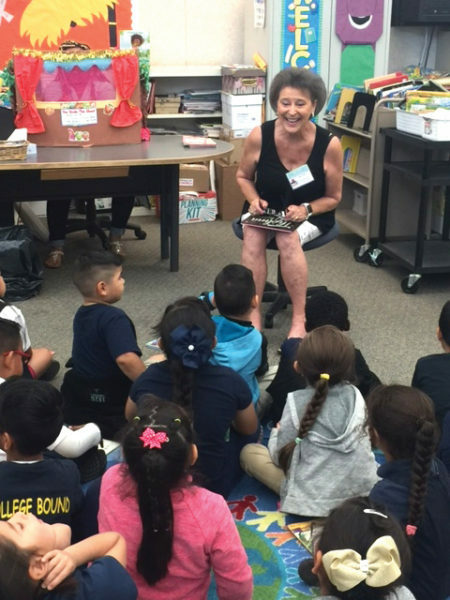 Bee Dine reads to Roosevelt students. The self-starting club has over 100 women who get together to inspire each other and give back to the community. 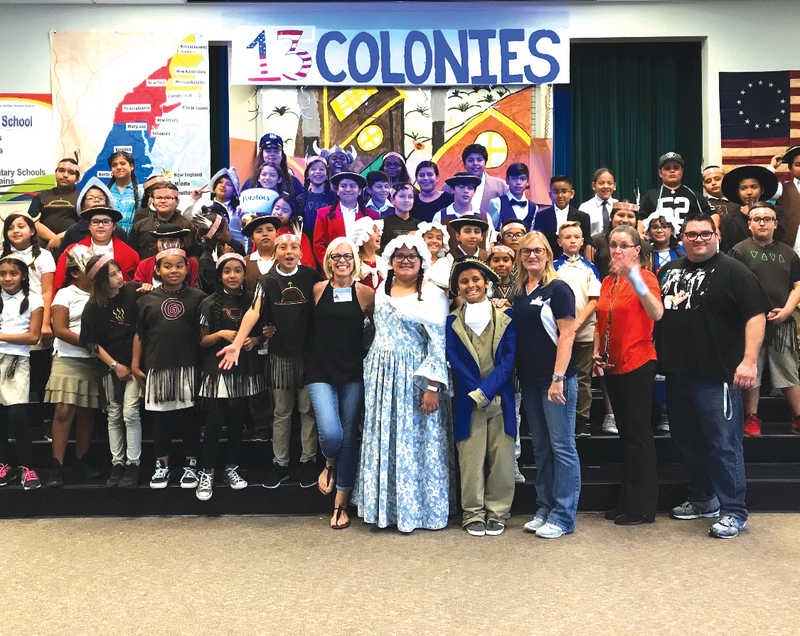 Last year, WOW adopted Theodore Roosevelt Elementary School in Indio and set out to accomplish whatever the school needed to get done. Gardens were built, blankets collected, costumes were sewn, and classroom volunteers partnered with students. One of the school’s objectives last year was to generate more community involvement, but they didn’t know where to start. They established the goal and simply put it out into the universe. Shortly thereafter, Polo Club resident Michael Lacey, a substitute teacher at the school brought the idea to his wife, Yolanda, a former principal and WOW member, and the partnership flourished from there. Lacey even recruited other men from the community to help out (informally dubbed MOM, “Men of Means”). The community’s restaurant, June Hills Table, even offered to donate all bottles and cans to further raise funds for the school which is already bringing in $75 a month. 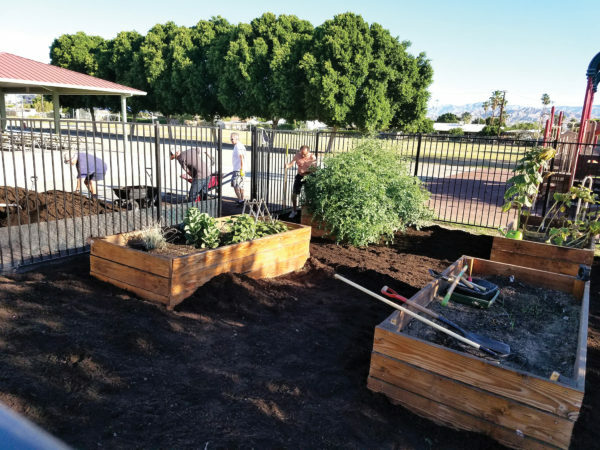 Trilogy members refurbish the school vegetable garden. When the school’s 5th grade play was in need of costumes, WOW member Pam Bruinsma took on the challenge of sewing Colonial Days outfits. The group also helped fifth graders raise funds and accompanied them on their field trip to Riley’s Farm to experience the Revolutionary War. WOW and MOM also donated a Christmas tree and decorated the school’s multipurpose room for their winter festival. Pictures with Santa (their principal in disguise) created another fundraising opportunity. 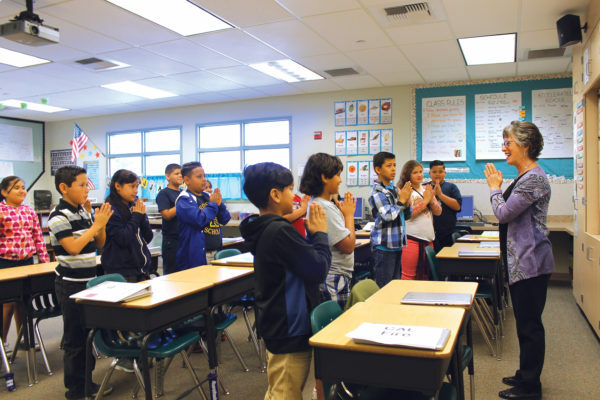 The group also enticed Hapara, an international educational software company, to donate a classroom program which allows Roosevelt students to virtually research with other students from across the country, in Canada and New Zealand. Polo Club residents Robin and Wayne Poncia even arranged for four new 55” televisions to be donated to the school for classroom-to-classroom global meetings, school management meetings, and school garden video monitoring. 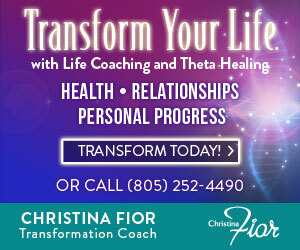 WOW member Sara Hoffman leads a class. Think about all the benefits our next generation would receive if each neighborhood in the Coachella Valley adopted a school. All it takes is willing administration and a creative group of enthusiastic volunteers. 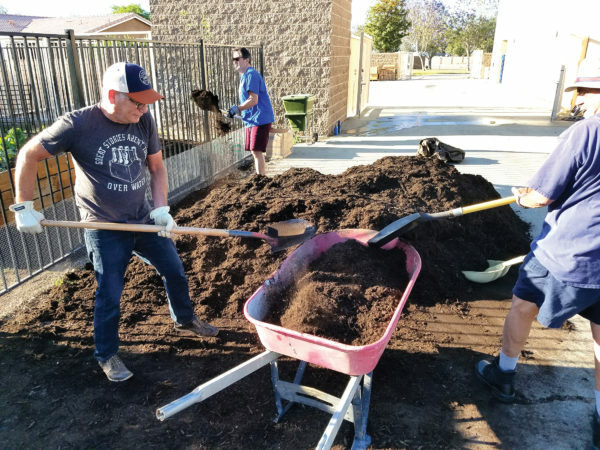 This year WOW and MOM plan to seek grants to pay for larger projects like maintenance of the school garden which the men built with donations from Burrtec and Home Depot. The first harvest will be prepared with the kids in the fall from menus submitted by WOW members. 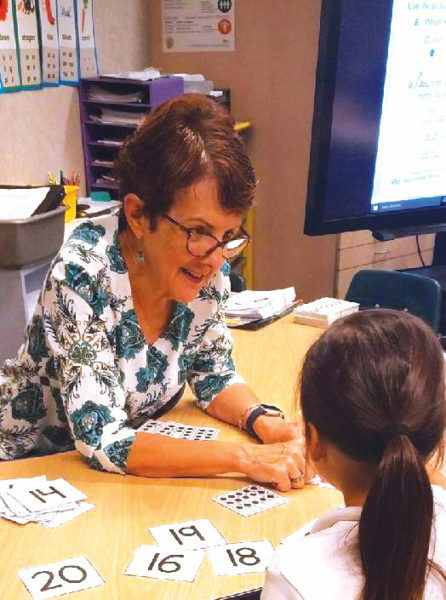 Many schools experience volunteers who come and go, notes Martinez, but WOW and Roosevelt have created an ongoing, dependable partnership which both consider mutually beneficial. This year’s school wish list includes more classroom volunteers, classroom supplies, more field trips and after school tutoring support. MOM member Michael Lacey reads to a class. For the women (and men) of WOW, the benefits may even be greater. If your group would like information on how to start a volunteer program with a school, please contact Trilogy at the Polo Club WOW founder Janet Malek at jmalek8461@yahoo.com. Editorial by Lauren Del Sarto. W.O.W. we were given so many school supplies! Your generosity is overwhelming and greatly appreciated. You have my sincerest thanks. This group of volunteers have made a tremendous impact on the lives of the students and the school community. The smiles they bring and the generosity they have given to Roosevelt, is truly a blessing. The students love seeing them on campus, the staff appreciates everything they do, and their kindness is heart warming. The Roosevelt School Community is so fortunate to have such an amazing group of people willing to give the future generation a brighter future.